Working in collaboration with Dr. Dewleen Baker, Dr. Naviaux's lab has uncovered a chemical signature of PTSD that holds promise not only for diagnosis, but also for personalized medical treatment. Post-traumatic stress disorder (PTSD) affects 11-20% of the 2.5 million US veterans returning from the Iraq and Afghanistan wars. 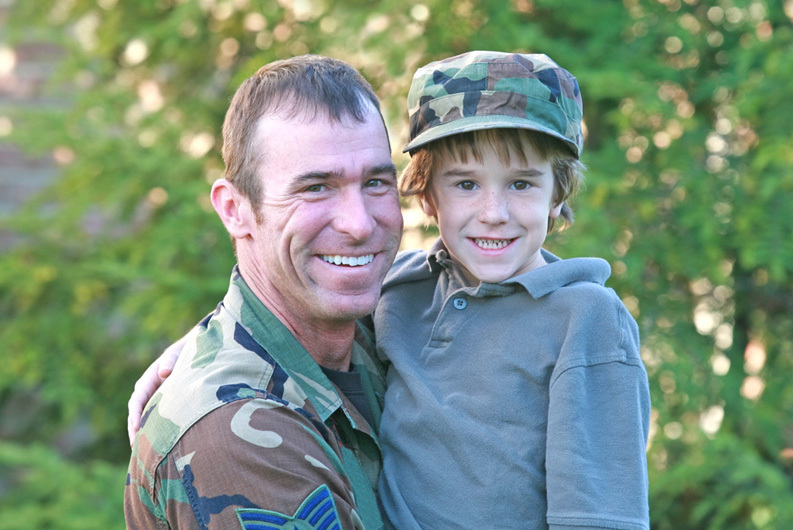 In addition, PTSD affects 7-8% of non-military Americans at a cost of $42.3 billion annually. PTSD not only can fracture the home lives of patients, but also increases the risk of many other co-morbid problems and illnesses such as obesity, hypertension, metabolic syndrome, cardiac disease, accelerated aging and dementia 1-4, which create an additional health burdens 5,6. Ladwig, K.-H., et al. Posttraumatic Stress Disorder and Not Depression Is Associated with Shorter Leukocyte Telomere Length: Findings from 3,000 Participants in the Population-Based KORA F4 Study. PLoS One 8, e64762 (2013). Ahmadi, N., et al. Post-traumatic stress disorder, coronary atherosclerosis, and mortality. Am J Cardiol 108, 29-33 (2011). Vaccarino, V., et al. Posttraumatic Stress Disorder and Incidence of Coronary Heart Disease: A Twin Study. J Am Coll Cardiol (2013). Veitch, D.P., Friedl, E.K. & Weiner, W.M. Military Risk Factors for Cognitive Decline, Dementia and Alzheimer’s Disease. Curr Alzheimer Res (2013). Cohen, B.E., Gima, K., Bertenthal, D., Marmar, C.R. & Seal, K.H. Mental health diagnoses and utilization of VA non-mental health medical services among returning Iraq and Afghanistan veterans. Journal of General Internal Medicine 25, 18-24 (2010). O’Donnell, M.L., et al. Disability after injury: the cumulative burden of physical and mental health. J Clin Psychiatry 74, e137-143 (2013).